Champagne Déhu Père et Fils was founded in 1787, and Déhu family has run this maison for 8 generations in Fossoy - Vallée de la Marne. The 8th vigneron Benoit Déhu returned to home from Bolliger in 2000 and begun to change vineyard management and wine making towards natural direction. 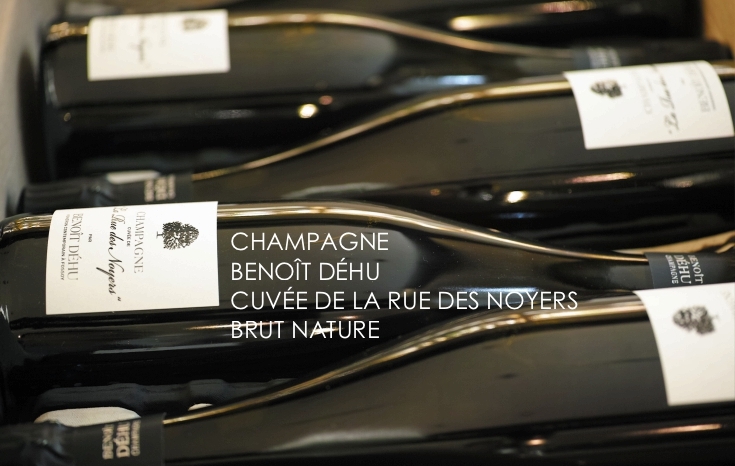 Finally he produced "Cuvée de la Rue des Noyers V11" from 100% Pinot Meunier from biodynamically farmed 1.7ha and released with his own label and this only 2400 bottles special cuvée didn't take much time to be discovered.